Every year, ICERI brings together more than 700 delegates from 80 different countries. It is the perfect place to share all your experiences with other experts in a truly international atmosphere. 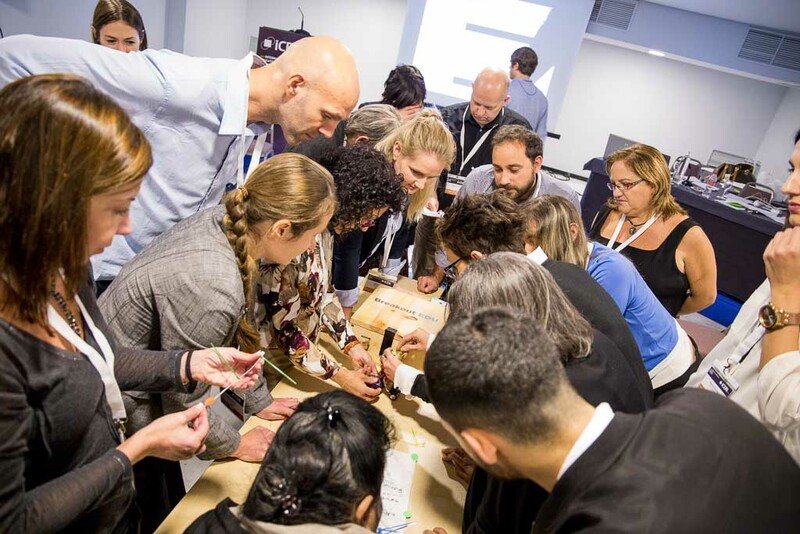 ICERI2019 provides the ideal opportunity to present your projects and research as well as innovative methods in teaching and learning. It is the ideal platform to discuss the latest developments in the field of Teaching and learning methodologies, educational projects and innovations and new technologies applied to Education and Research with experts from all over the the world. When will the final program be available? A general preliminary program is available here. However, the final conference program with the presentations details will be published on the conference website one month before the conference dates. You can have an idea of ICERI program structure by looking at last year’s program here. Regarding accommodation, the venue of the conference offers special prices for ICERI2019 attendees. You can have more information about the fees and how to book it at the accomodation section. I need a Letter of Invitation for my travel visa. What can I do? If you are an author, you can download your invitation/acceptance letter by logging at the online application with your email and password. Can abstracts and papers be submitted in different foreign languages? No. The official language of the event is English. Therefore, all presentations, abstracts and papers should be written in English. There will not be simultaneous translation as all participants are expected to fluently speak and understand English. What if I miss a submission deadline? If you missed a deadline, please email iceri2019@iated.org. Can I change my presentation format from oral-poster to virtual? What are the requirements for my final paper? A Final paper should be submitted for each accepted abstract (oral, poster and virtual). The final paper template is available here. The final paper length should be between 4 to 10 pages (including references). The submission formats for final papers are Microsoft Word or RTF for editing purposes. In very exceptional cases an author may decide not to submit his/her paper due to professional (copyright, private contents, etc) or personal reasons. Will ICERI2019 Proceedings be indexed in ISI? ICERI2019 will produce a publication (with ISBN): ICERI2019 Proceedings. It will include all accepted abstract and papers at ICERI2019 conference. 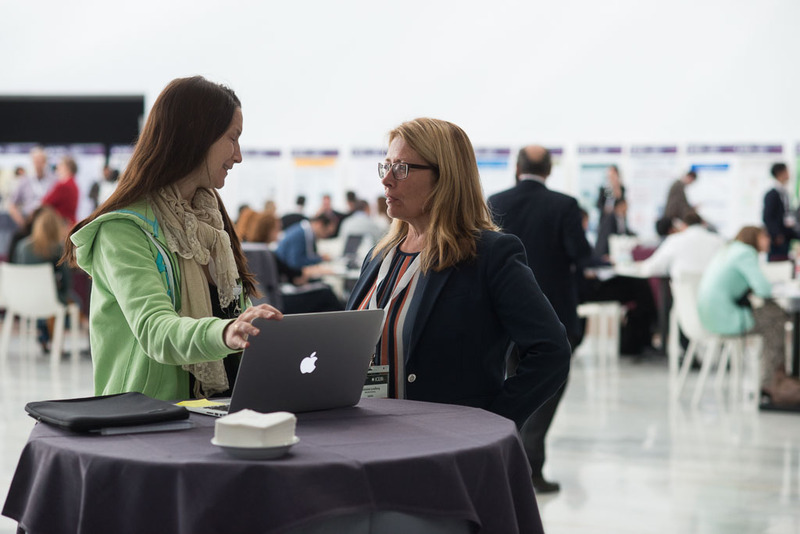 In addition, ICERI2019 Proceedings will be submitted for their inclusion in the ISI Conference Proceedings Citation Index (Web of Science). Please note that this is not an IATED decision as papers should go through the Web of Science review process. Authors will be notified about it as soon as the confirmation is received. Conference Proceedings from the past editions of this conference (ICERI 2010-2016) were already accepted and indexed in the ISI Conference Proceedings Citation Index. Also, each published paper in ICERI2019 Proceedings will be assigned a DOI number (Digital Object Identifier) for its easy citation and indexation. Networking with colleages from other parts of the world. What should oral presenters take into account? The equipment available will be a PC (Windows OS), VGA projectors and microphones. The PC will have sound to facilitate the use of clips or videos. The presentation files should be brought on a USB, memory stick, CD, or a similar memory device. As the total duration of your presentations is 15 minutes, as a rule of thumb, the recommended number of slides for your PowerPoint file is 15. What should poster presenters take into account? Posters should be printed and brought by each author to the conference. The poster can be up to 130 cm high x 90 cm wide. (51 in. high x 35½ in. wide). Your poster should be readable from a distance of 2 meters. We will provide materials for attaching posters. However you can bring your own if you prefer. Authors are requested to be present by their poster during the assigned session to answer any questions from the public. It is highly recommended to provide small envelopes for distributing your business cards and collecting business cards of those who request additional information. This is a good way of inviting and encouraging interactions with your audience. Posters will be exhibited during the conference in a poster session (morning or afternoon). The average duration of poster sessions will be 4 hours. What should virtual presenters take into account? Virtual presentations will be uploaded in a virtual area on the on-line program. The recommended time for virtual presentations is 15 minutes. Therefore, the suggested number of slides is 15-20. Also, many participants include audio in their file, so they can explain their paper and make it more understandable. The submission deadline for your virtual presentation is October, 17th, 2019.
an Author Certificate, a Participation Certificate, ICERI2019 Proceedings (with ISBN) in USB flash drive format, ICERI2019 gifts and an invoice of your registration. Can I propose my own special session? Authors can propose a special session. They should include thought provoking presentations, introducing novel ideas and experiences followed by discussions with the audience. Special sessions should last 60 to 90 minutes and include 4 to 6 oral presentations. Each presentation should last a maximum of 15 minutes. The registration of a minimum of 4 authors is required. The submission instructions are available here. Can I serve as session chair? Can I republish my presentation in a journal or another conference? According to the copyright signed for your paper publication in ICERI, you give the right to IATED to include your paper in the Conference Proceedings. Regarding the contents of your paper, you can use the published content that you generated and write similar versions of it to publish it elsewhere, but you cannot present exactly the same article in other conferences or journals. This does not hinder you using the published content and re-writing another paper with a similar version for other publication purposes. More information about IATED publication ethics guidelines are available here. Can I attend the conference without presenting? Yes, you can attend the conference as general public (listener). All you need is to complete your on-line registration and payment. Please choose the option “general public” on the registration form. Refund and cancellation requests must be received in writing before October, 10th, 2019. There is a 60 € service charge for refunds on registrations. Bank taxes must be paid by the participants. Otherwise, the amount will be charged at the registration desk. Will the conference area and rooms have WiFi? Yes, you will be provided with an access code to use the WiFi connection during the conference. If I do not bring my PC/laptop, will I be able to have access to the Internet? There will be an internet access point with PCs and printers at your disposal. The suggested dress code is business casual but you can wear whatever makes you feel comfortable during the conference. As the conference rooms will have air conditioning, you can bring a light jacket if you usually wear it in cool air. All registered attendees are invited to join 4 coffee snacks (morning and afternoon on Monday and Tuesday), 2 lunch buffets (Monday and Tuesday) and a closing cocktail (Tuesday evening). If any accompanying person is interested in joining the lunches, individual tickets can be bought at the Registration Desk. Can an accompanying person have access to the conference area? Only registered participants gain access to the conference area. In order to have access to the conference area, you should always wear the official badge that will be given to you during the registration process upon your arrival. This badge will allow you to have access to the conference rooms, lunches, coffee and cocktail areas, etc. However, accompanying persons can join the daily buffet lunches buying individual tickets. They are sold at the hospitality desk during the conference. Can I bring an accompanying person to the sightseeing tour on Wednesday? ICERI2019 invites you to take part in a sightseeing tour to Seville on the 14th of November from 9.30h to 13.30h (the registration to this activity is cost free for all attendees). It will consist of a walking tour and a panoramic tour by bus to the most important and interesting places in Seville. It will be guided in English. Accompanying persons are also invited to join this activity (at no additional cost). If you are interested in joining, please confirm it at the Registration Desk on the 12th of November.